Welcome back to season 7 episode 1! I am really excited to start this new season of the year with something new. If you had missed our newsletter or blog announcement, I'm trying a new format in the new year where I'm live broadcasting the interviews with our guest experts online. You can now watch the podcast interviews online while we are recording. We've recorded four episodes so far and there is one coming up with Bobbie McGrath this Sunday on home staging business models, occupied homes and consultations. Check out the guest line up here and sign up for the live webcasts. New information will be updated as I am in the process of booking more guests for the show. I'll be updating that blog post as I finalize interview schedules. I'll also announce it on the podcasts and emails as well. If you want to sign up for our newsletter, you can do so by going to our website and access the show notes. This week, I'm also holding a free master class on marketing and booking clients. In this free online class, I'll go over strategies on how to map out your marketing plan and I'll also talk about how to build your marketing funnel and stand out from a crowded marketplace. The free class runs this Wednesday through Saturday. You can sign up for the class and the live office hours here. The last free class is scheduled for Saturday morning at your local time. And there will be two live office hours this weekend to answer your questions this weekend. So make sure you check our show notes by going to our website. You can always access the show notes by going to our website www.staged4more.com/podcast and click on the episode you're looking for. Lastly, the live business incubator course 6-Figure Floor Plan is starting up again next Monday. Fred Berns is among the biggest names in the business of interior design. He’s an award-winning coach, promotional copywriter and professional speaker who trains and creates promotional materials for design professionals and real estate stagers worldwide, helping them promote themselves more effectively and dramatically increase sales and profits. 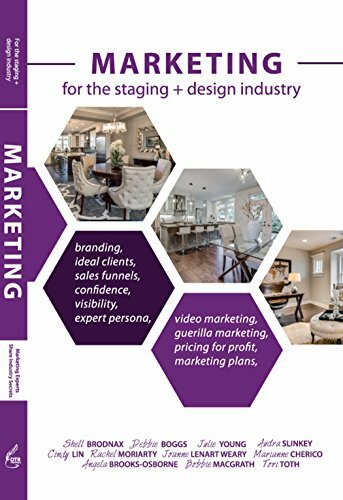 His training and coaching sessions for interior designers, stagers, window fashion professionals, kitchen and bath specialists, and other design professionals from Dallas to Dubai focus on how they can double their sales, connect with better clients, and make a maximum marketing impact for a minimal investment of time and money. Fred, who speaks at design industry events around the world, also creates marketing materials, and social media and website copy for designers and stagers. Those materials include everything from promotional bios to articles for use online and in print. Fred presents sales and marketing programs at design centers, marts and conferences worldwide. He was an emcee and presenter at the International Federation of Interior Architects and Designers(IFI) in Dubai, U.A.E. 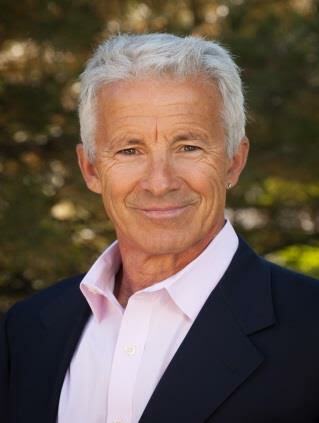 In addition, he has been a featured speaker at the International Window Coverings Expo; Neocon events; the High Point Market; Surfaces; design symposiums; home and design expos; furniture, gift and accessory shows; and national conferences of such groups as ASID, NKBA, IFDA and Decorating Den. Fred’s blog, InteriorDesignBusiness.net, reaches thousands of design professionals around the world. He also regularly writes for a variety of design trade publications and online outlets. His Interior Design Business Library includes a vast collection of books, video and audio programs and other business-building resources for the design industry. His resources cover topics ranging from setting and getting higher fees and overcoming price objections to branding and million dollar marketing on a shoestring budget. How did you get started coaching home design professionals? In your experiences in coaching designers, what are some of the biggest mistakes design professionals often make when it comes to selling themselves and their services? How can they change their mindset and behavior to sell themselves better? In your opinion, what makes good marketing? A mental block that I often see when it comes to self-promotion, a lot of people feel a bit funny about it. Maybe they are shy or they feel like selling can come across sleazy. What do you recommend your clients do when they feel this way about self-promotion? What are some of the ways that stagers and other design professionals can effectively promote themselves? In my experiences, a lot of stagers, especially new ones, are afraid or don’t know how to reach out to their potential clients. How can a design professional reach out to their clients? What online platforms do you recommend nowadays? How about face to face? What can stagers do to get themselves out there and meet potential clients? And if they want to reach a higher end, higher caliber client base, how can they do that? The other biggest hurdle, even for seasoned stagers, I’ve seen is that people are afraid to ask their price. What are you recommendations for pricing your services correctly and get the design fees that you want? And how do you know if you are pricing correctly in the marketplace? Or do you ignore that and ask for what you want? What if the client has pricing objections? What are some of the effective ways that you recommend for stagers to deal with that? What is the one top tip you will give to stagers when it comes to self-promotion and selling themselves? What is the most effective self-promotion tool for stagers? You have identified a “million dollar marketing word” for stagers. What is it? You give a program entitled “Methods of the Masters.” What are the top sales and marketing strategies of the most successful stagers? What do you mean when you say stagers need to “re-introduce themselves” to the marketplace? 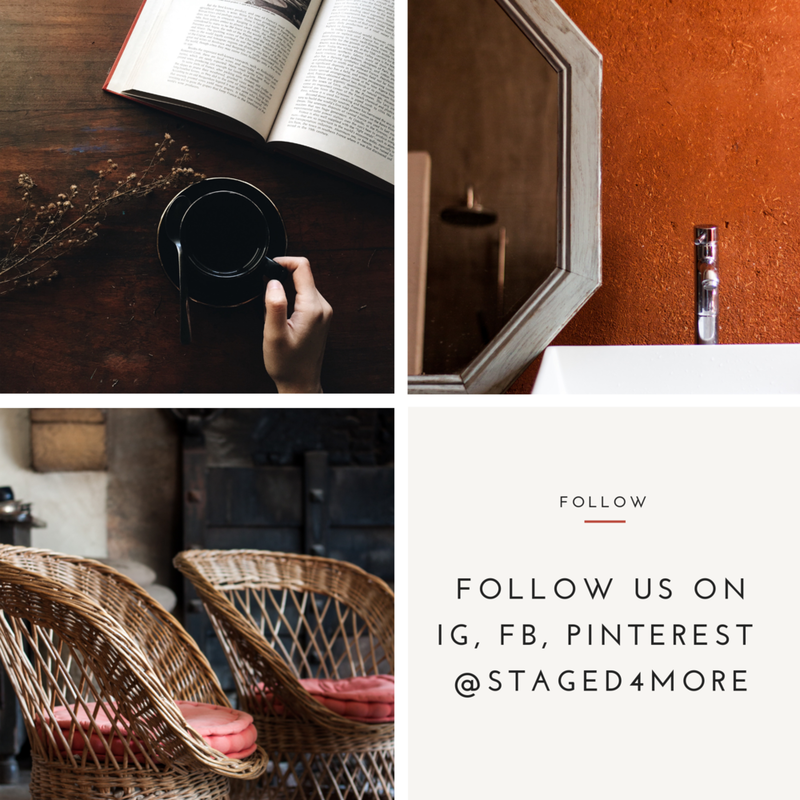 Self-promotion by the most financially successful staging and other design professionals is a key focus of the programs I present and writing I do. As the author of the book Sell Yourself! 501 Ways to Get Them to Buy from YOU, I'm considered an expert on the Power of the Personal Sale. Writing "Killer Bios" for design professionals worldwide is an activity I engage in frequently.